A new study co-authored by the University of Plymouth and published in The Lancet shows how an asthma drug was more effective at improving a patient’s asthma control compared with their usual care. The study was developed by pharmaceutical company GlaxoSmithKline (GSK), and showed that a once-daily inhalation of a powder, made up of drugs fluticasone furoate and 25mg Vilanterol (FF/VI), was noticeably more effective at improving scores in a test of asthma control, using a validated tool – the Asthma Control Test (ACT), than taking regular maintenance inhaler therapy alone. 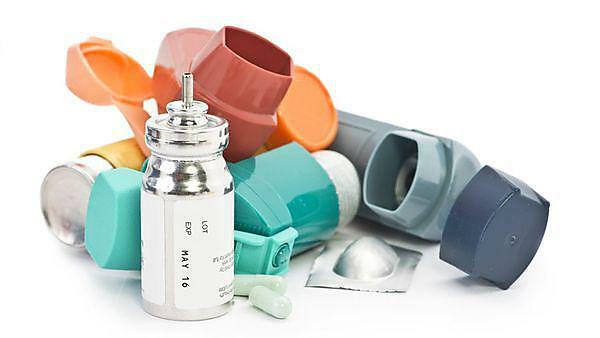 Regular maintenance inhaler therapy is defined as taking inhaled corticosteroids (ICS) on their own, or in combination with a long-acting beta-agonist (LABA). Commercially known as Relvar Ellipta, the drug was given to 2,114 of 4,233 patients for the study, with results monitored at 12, 24, 40 and 52 weeks. And at 24 weeks, a significantly higher percentage of patients with symptomatic asthma and initiated on treatment with FF/VI achieved better control of their asthma (71%), compared with patients continuing usual care treatment (56%), (odds ratio 2.00, 95% CI 1.70, 2.34; p<0.001). Statistically significant findings were also seen at 12, 40 and 52 weeks. As the study was carried out on a group of people in the general public, rather than considering any strict exclusion criteria, we can be confident it is translatable to the general public too. The ACT is used globally in asthma management and referenced in treatment guidelines to assess asthma control, and takes into consideration aspects such as how often patients use an intervention inhaler, and whether they have any time off work with asthma symptoms. It is self-administered utilising five questions to assess asthma control during the past four weeks on a five-point categorical scale (1 to 5). By answering all five questions, a patient with asthma can obtain a score that may range between five and 25, with higher scores indicating better control. The study, known as the Salford Lung Study, was led by the University of Manchester and took a novel approach to traditional randomised control trials. It included 4,233 patients from in and around Salford, and the only people excluded from the study were those who had reported life-threatening asthma recently, had a history of COPD or had a concomitant life-threatening disease. In this case, their care was continued as normal. “As the study was carried out on a group of people in the general public, rather than considering any strict exclusion criteria, we can be confident it is translatable to the general public too,” he said. This is the second Salford Lung study to report, with the first publishing findings on COPD. It will add to the existing data set from double blind randomised clinical trials for the medicine which, while critical to establishing the safety and efficacy of a medicine, are conducted in a highly controlled environment and enrol a more highly selected patient population than would be expected in everyday clinical care. Rupert, who is supported by PenCLAHRC, also attended the European Respiratory Society International Congress in Milan over the weekend, where the study results were shared.